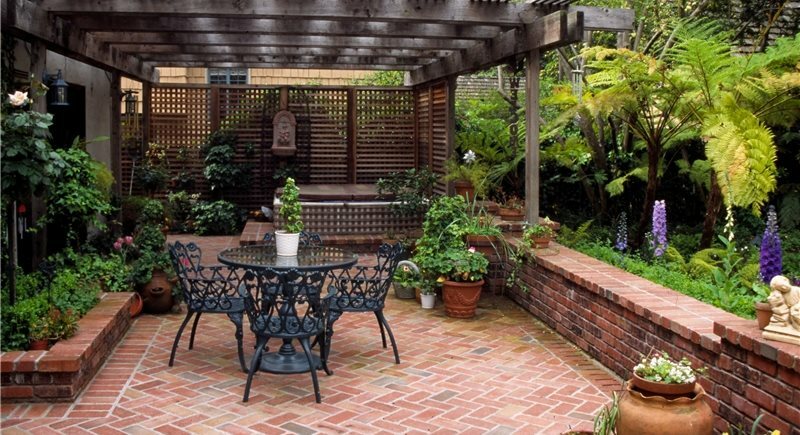 After the kids left home, this active family barbecue patio became a secluded nook for the parent's long awaited spa. With the dining room and adjacent courtyard both on the same grade, the couple will be able to use it even if bound to a wheelchair. 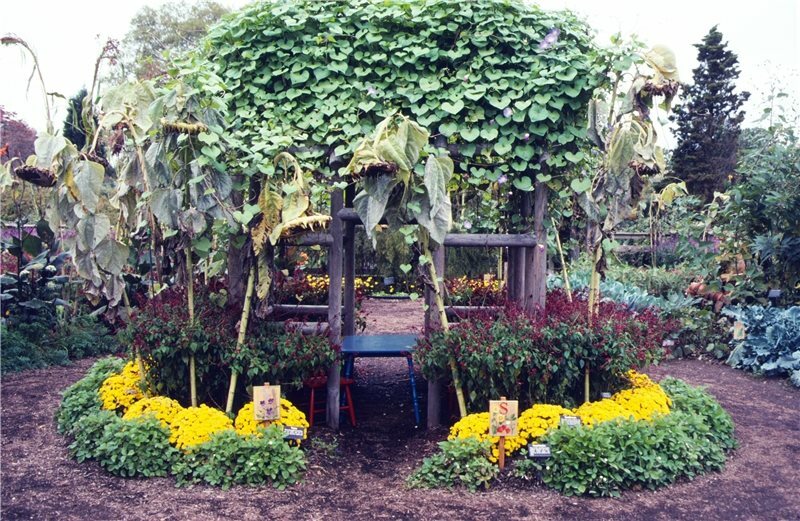 This children's garden features a play and climbing structure shrouded in sunflowers and morning glories. This cable ride was loved by the kids while they were little and it remained just as popular when their older friends came to visit. 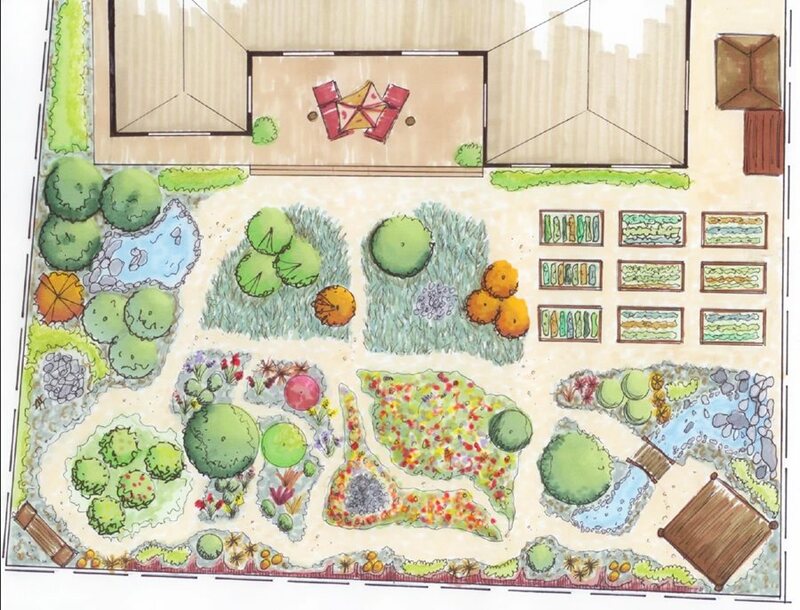 A space first used for this fun play structure will later be repurposed as a food garden or an in-ground swim-spa. The designer created a beautiful nook for the family's beloved pet rabbits that will one day become a secluded meditation spot. 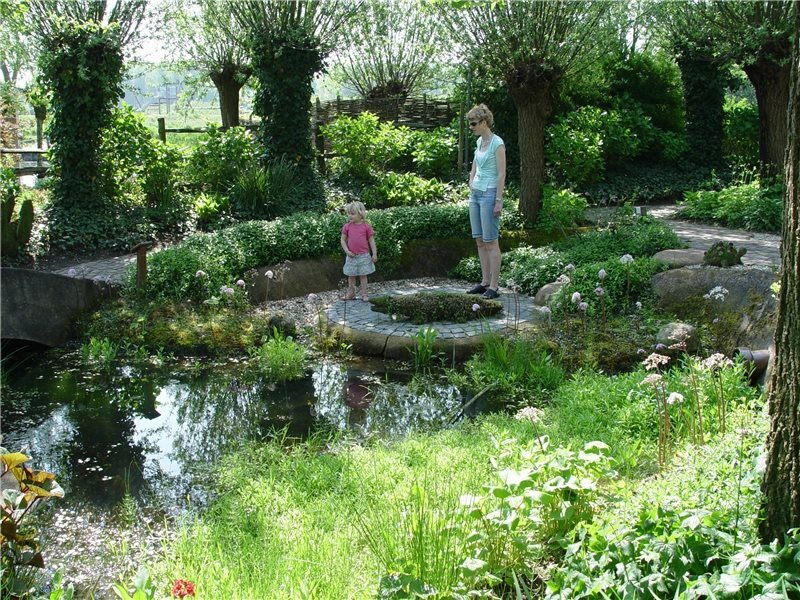 The trails that surround this water garden are enjoyed by the entire family on bikes and on foot. 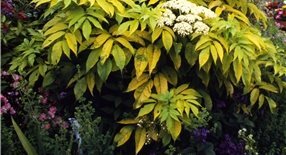 Plants such as the elder with its relationship to the endangered longhorn beetle turns a backyard into vital habitat for vanishing species. 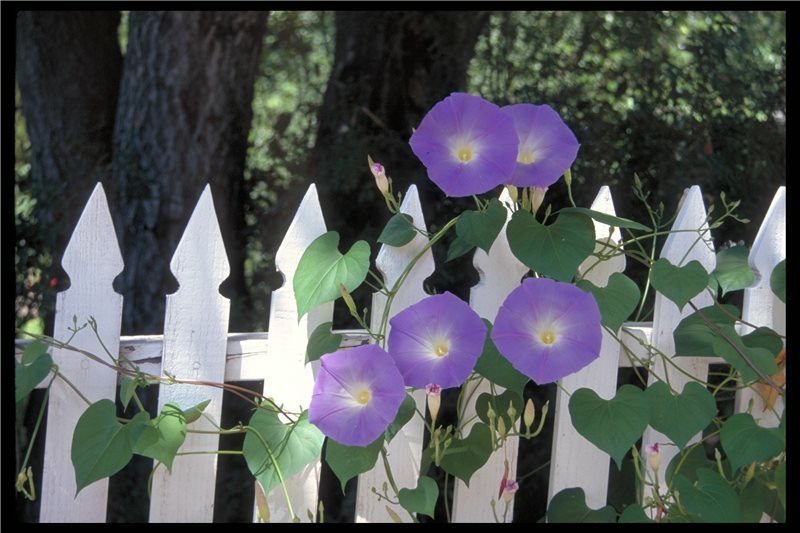 Plants such as morning glory can be problematic with very young children because leaves and stems contain toxic chemicals that can be absorbed into the skin in hot weather. Planting around the base of old oak trees such as this makes them vulnerable to oak root fungus, so the spaces are better off kept dry and well suited to rope swings. 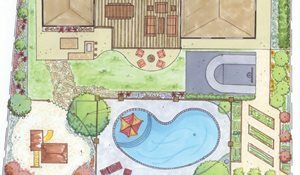 Help your designer save time and your money by making sure these landscape concepts are part of your design. They go a long way toward making sure your site plan is the perfect fit for you, your lifestyle and your family. The backyard is becoming the safest most affordable place to spend time with the kids, friends and neighbors. The active spaces you create have many functions and these must be considered to get the most out of the final layout. 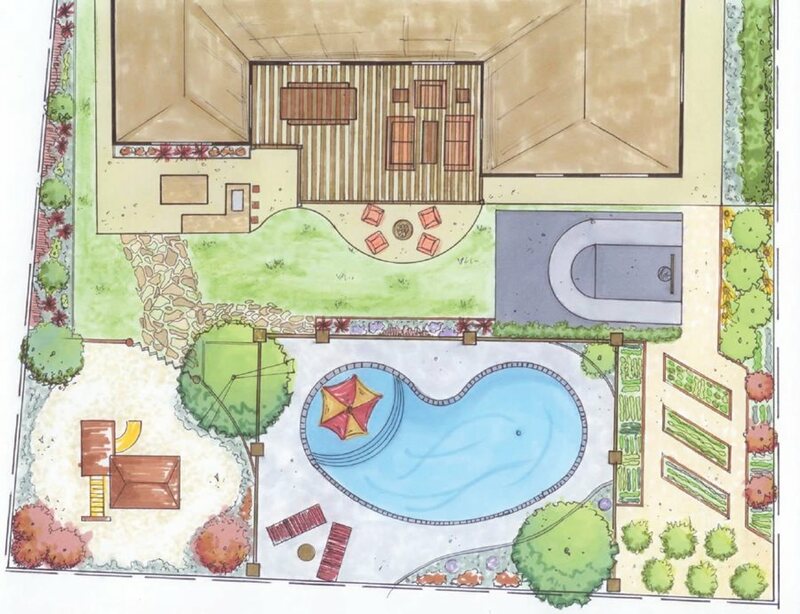 For growing families, the backyard landscape is front and center to you, but there's no guarantee your designer will keep the future in mind too. 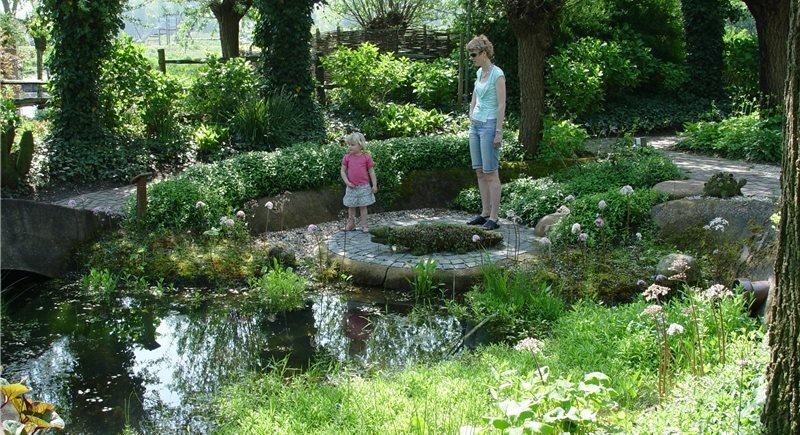 The best designed landscape can grow and change with the kids to meet their needs now and when they reach those difficult tween and teen years. For example, you may not need much lawn for the toddlers, but when T-ball time rolls around and then football, you'll need at least a court-sized space (see Backyard Sports). Plant dwarf fruit trees so kids can reach the fruit. Plant butterfly nectar and larval food plants to teach metamorphosis. Avoid plants that draw excessive bees or wasps. 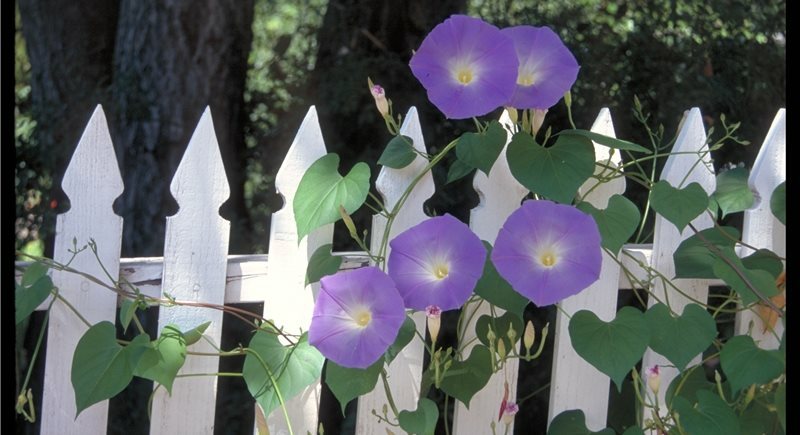 Beware of plants with exceptionally large sharp thorns such as cactus and honeylocust. Prevent hayfever by avoiding acacia and other notorious problem flowers. 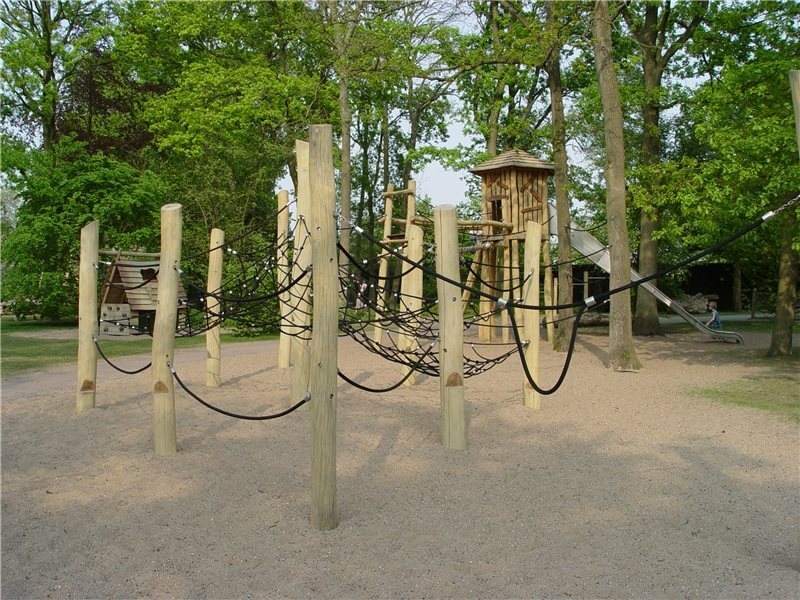 A large yard in the suburbs offers room for swings, climbing gyms, sand box, children's garden, play house and more. 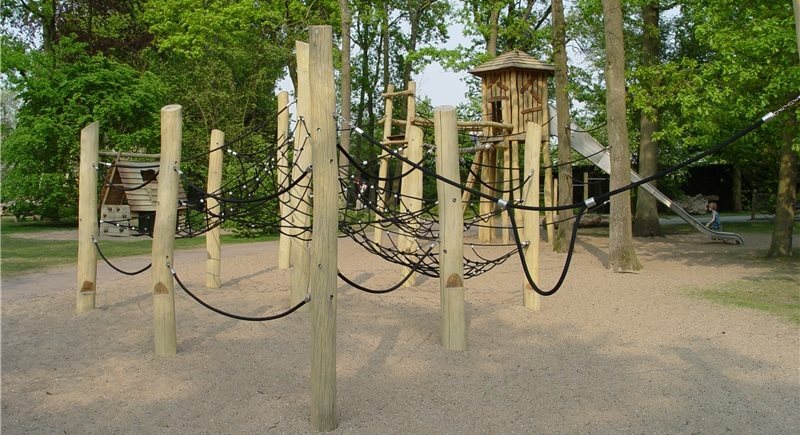 Your circulation system connects all these things with a blend of paved walks or gravel, trails and foot paths. Encourage your designer to link these elements in a meandering circular fashion. This won't look like a track, but it functions like one allowing kids to go round and round on tricycle, then roller-skates and maybe even a mountain bike. Pro Tip: Planning concrete or asphalt paved spaces for kids to play? Keep the expansion joints few and narrow. Avoid rough surfaces like exposed aggregate. Keep it smooth for safety of rollerskates, roller blades, Razor scooters and skateboards. A large old tree is worth its weight in gold, yet many are lost because they are seen as inanimate objects, not living things. 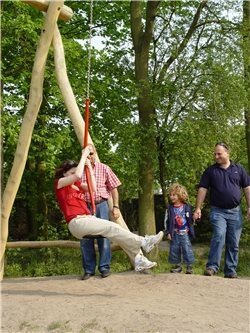 This is a vital source of shade, but with kids it serves as a climbing structure, a rope swing support and a place for a tree house. Whenever you do any of these things, be sure you don't damage the tree or you may risk losing it altogether. Do not nail into the bark. Never girdle the trunk or limbs with chain, cable or ropes. 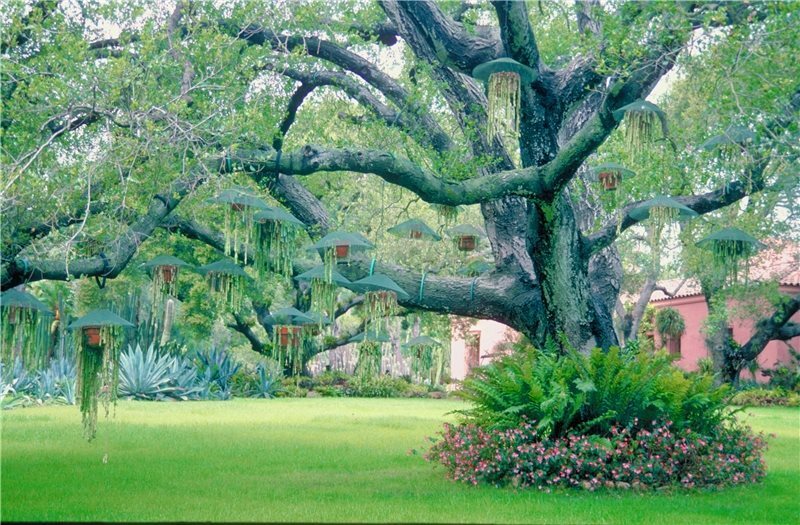 Above all, don't let your designer create uses beneath the canopy of sensitive species such as native oaks where soil compaction denies oxygen to surface feeder roots. 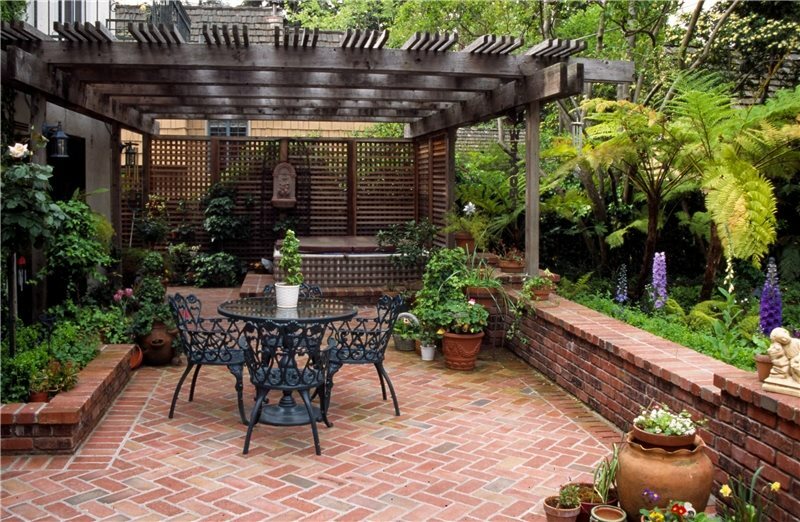 Fragrant flowers around outdoor living space add healing aromatherapy. Beware of shrubs and trees with small fruits that both stain and become a slip hazard. 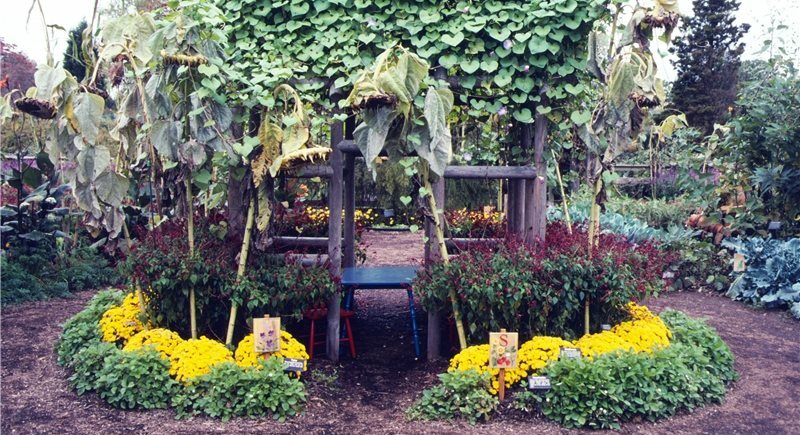 Use plenty of culinary herbs as landscape plants wherever you can. 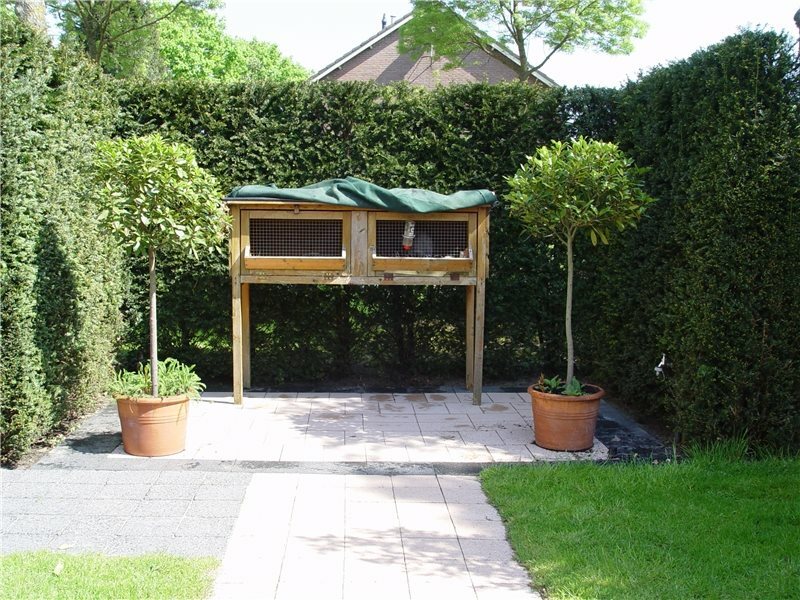 Aromatic plants can be sheared often to release their scent into living spaces. Exploit garnishes and beverage plants such as a potted lemon tree or edible flowers. 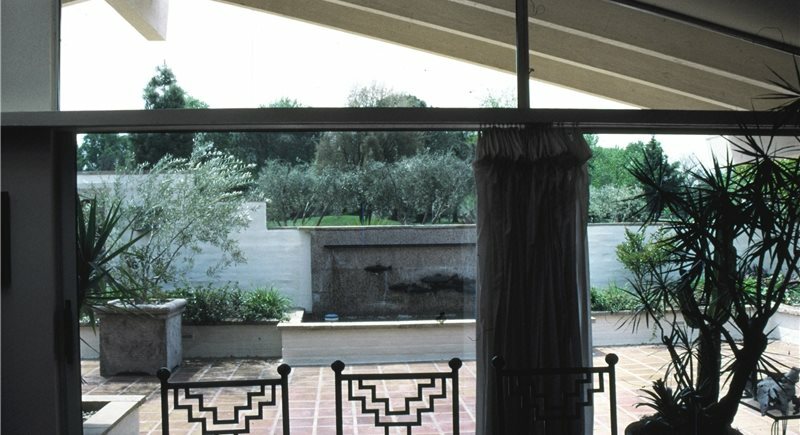 Use plants to solve climate problems where building codes prevent constructed solutions. Once the kids are gone, your lifestyle can change, or even include retirement. The lawn may be traded for a gourmet food garden. Rather than mowing, plan to enjoy the finer things in life outdoors. 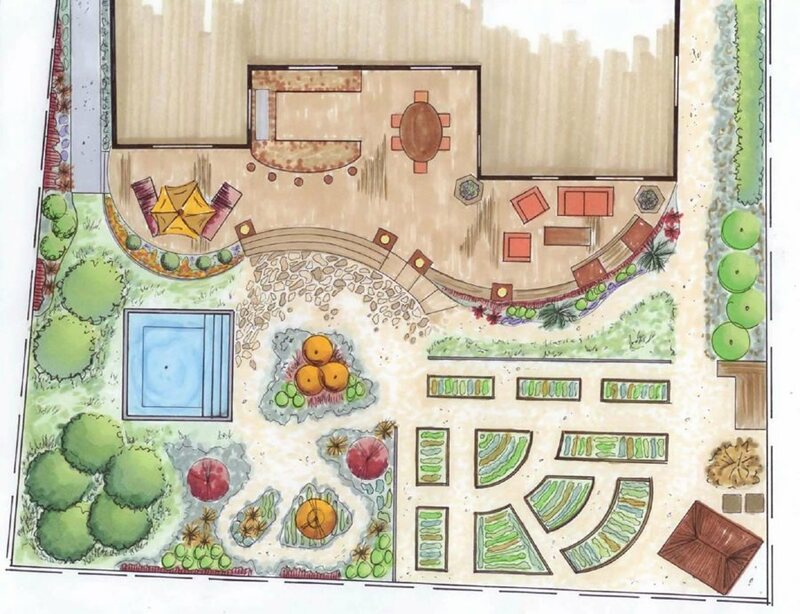 Perhaps the culinary arts will become a major source of patio recreation. For this group the menu changes, so keep these ideas in mind if your designer is considerably younger than yourself. Chances are she's not yet thinking about life after fifty. Adults are lovers of passive spaces with beautiful surroundings. Skin cancer and aging means shade and UV protection is important. Ceiling fans in overhead structures ensures that hot flashes and age-related heat sensitivity is alleviated. In other seasons, cold and wind makes outdoor fire features and passive solar design highly valued amenities. Small cafe chairs appeal to young designers but are difficult for older folks. Insist on spacers adapted to roomy, stable, well padded comfort furniture. The more food is prepared outdoors, the more fun the host and hostess will have with their guests. The typical grill will need adjacent counter space that is very carefully oriented. Counters that double as a bar with comfortable seating on both sides allow drinks to be served while food is prepared in the same space. Storage beneath this surface allows bottles and glasses to be kept out of sight yet easily within reach. After retirement, the importance of accessibility increases. 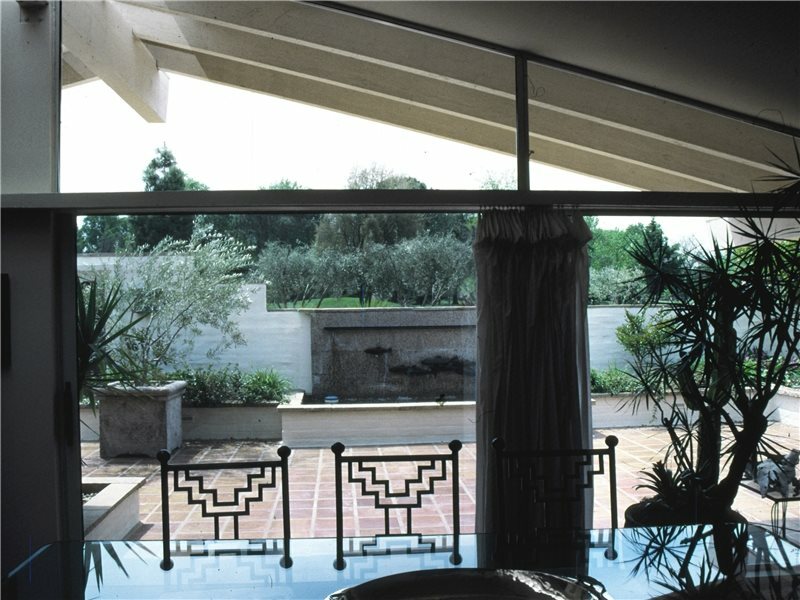 The way spaces are laid out can make them well suited to future limitations, so discuss dimensions use for handicap access with your designer. Small spaces and odd steps can be problematic to anyone with a cane or a walker or just a stiff hip. Design to avoid the need for bending at the waist or squatting on the knees. Ensure there is safety lighting at even the slightest grade change, and consider exchanging single steps for ramps wherever you can (check out an ADA accessible backyard). 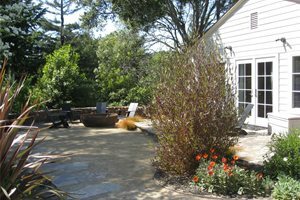 Be sure to consider all possible native grasses for use in the landscape. 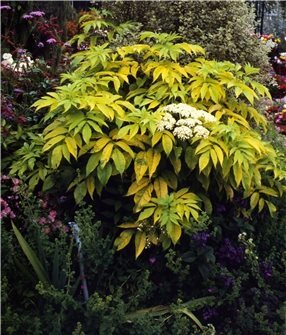 Exploit plants with direct links to certain wildlife species such as yucca or elder. Avoid allelopathic drought resistant plants because they can discourage nearby plants. Beware of larval food plants because the larvae literally eat them out of existence. Emphasize nectar sources to draw hummingbirds without feeders. 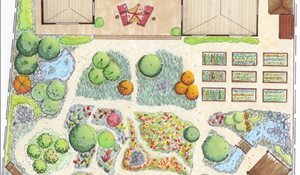 This backyard landscaping trend puts the emphasis on the natural world, wildlife, native plants and sustainable gardening. 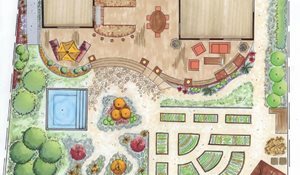 Depending on size, all of these elements can come together in a single garden or just one or two of them. Today designers can get caught up in the latest green ideas at the expense of both the beauty and usability of the space. Many designers today are super ecology-oriented and forget that people use the space too. 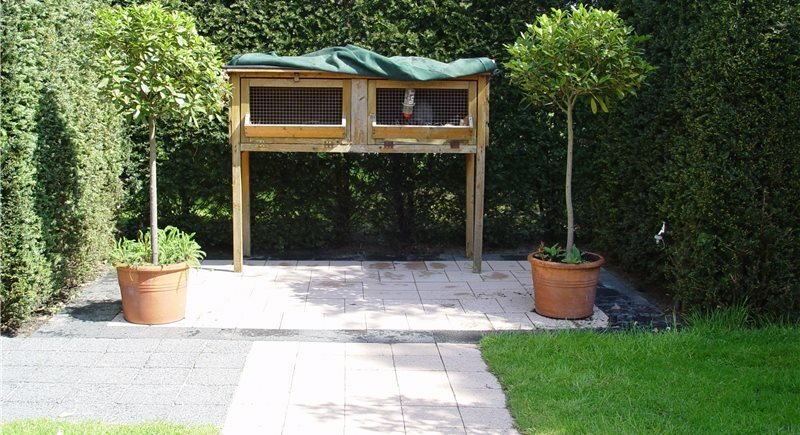 Your backyard wildlife habitat must include well thought out living spaces and circulation. Selection of plants that draw birds and butterflies must do more - they must solve problems. Beware of a designer known for a strong biology or ecological background because there may be a dearth of skill in creating human-oriented spaces. 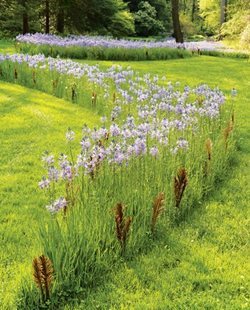 The turf grass alternative is a meadow of naturally short native grasses and wildflowers that can be walked on occasionally without damage. 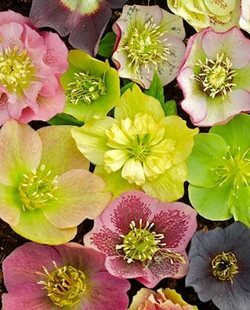 More and more companies are producing new varieties in quantities needed for these projects. They need only a biannual renewal mowing that mimics the effects of fire in the wild. Make sure your designer also considers artificial turf, which has come a long way and makes a lush alternative to paving, gravel and ground bark surfacing. The high price of organic produce and the economic downturn makes growing food and herbs the most popular aspect of these landscapes. Even the smallest yard makes room for pot greens or salad. 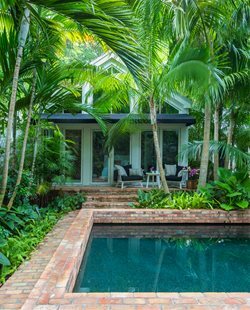 Because exposure is so important, make sure your designer gets it positioned for a solid southern exposure to ensure adequate light. 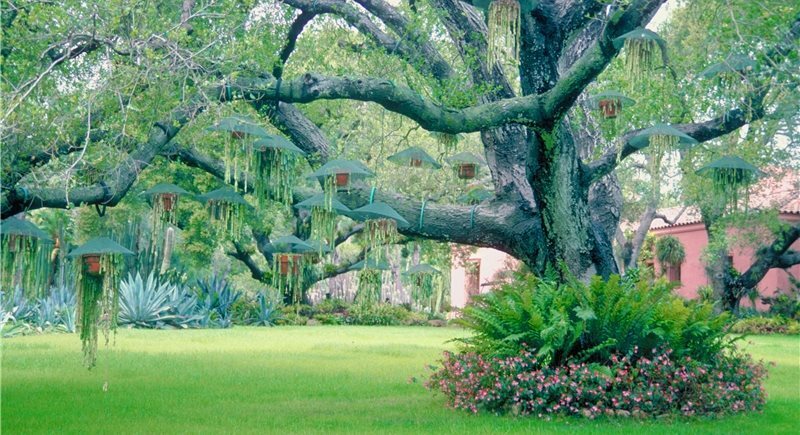 This garden may also be creatively designed to become a visual focal point in every season.